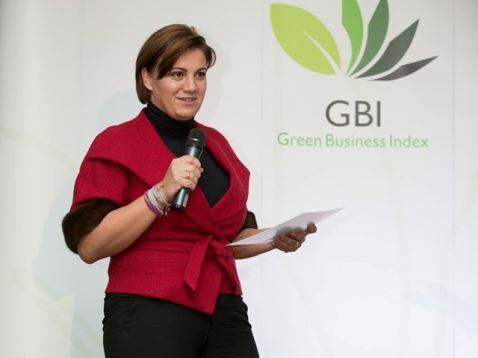 Anca Albulescu, Partner and Head of Real Estate and Construction and Co-Head of the Energy department, handed the prizes for the most environmentally responsible companies at the Green Business Index Gala. Anca announced the top 3 winners for the Green Buildings and Spaces category, which distinguished themselves during the past year through environmental responsibility by reducing their ecological footprints and efficiently using energy to power the buildings and areas where they have carried out their activities. Green Business Index is a project developed starting with 2010 by our partners, the NGO Green Revolution and stands as an instrument for the evaluation of companies‘ environmental performance, encouraging and promoting green business initiatives in Romania. Throughout the years, bpv Grigorescu Stefanica advised on a variety of environmental matters and participated in legal reform initiatives in the energy and environmental sectors. Since 2010 bpv Grigorescu Stefanica has been supporting the projects of Green Revolution, being also a member of the association’s Advisory Council. For more information about Green Business Index, please access the official website: click here.